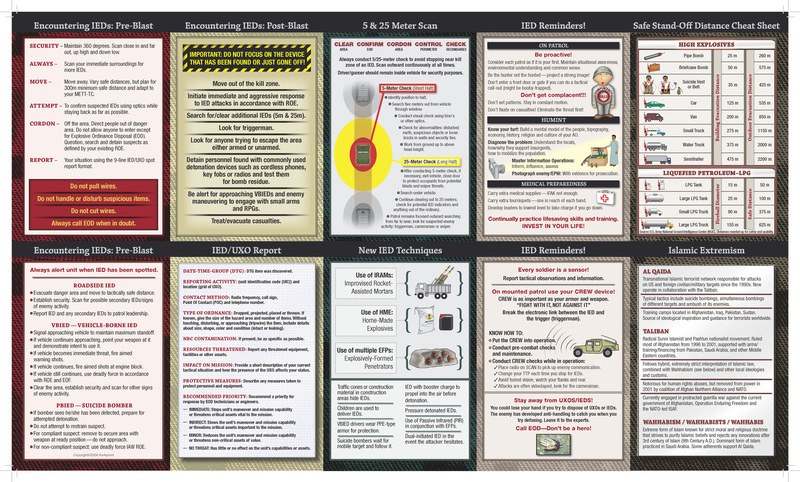 This guide was developed as a training support and essential field reference for Armed Forces personnel. 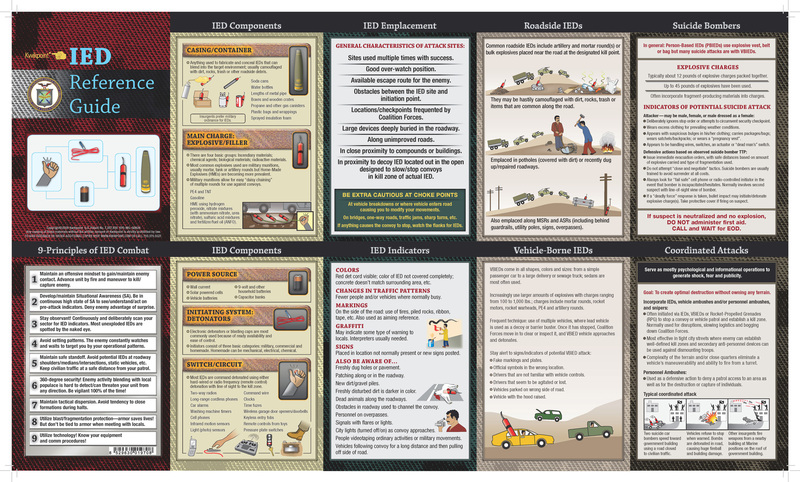 The Kwikpoint Improvised Explosive Device Reference Guide provides important reminders and training reinforcement about Improvised Explosive Device (IED) techniques, strategies, and tactics used by insurgents, as well as pre- and post-encounter mitigation and interdiction. Developed in close consultation with experienced military trainers and advisors.